A decade or two back post or pre athletic wear such as warm-up suits — aka jogging suits — became all the rage with all sorts of people, especially those who had never lifted a weight, done a pull up, or gone for a run in their entire life. Because of this, the look began to be known as athleisure wear, and the term is pretty spot-on. 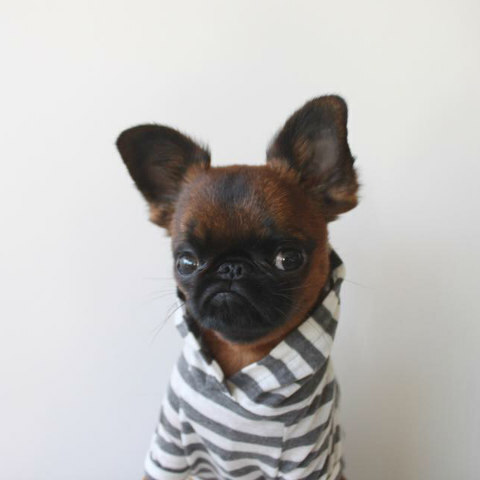 Now, somebody is designing clothes for dogs with this particular look in mind. The brand is called Max-Bone, and the designer behind it is Parisa Fowles-Pazdro, and of course she’s based out of L.A. 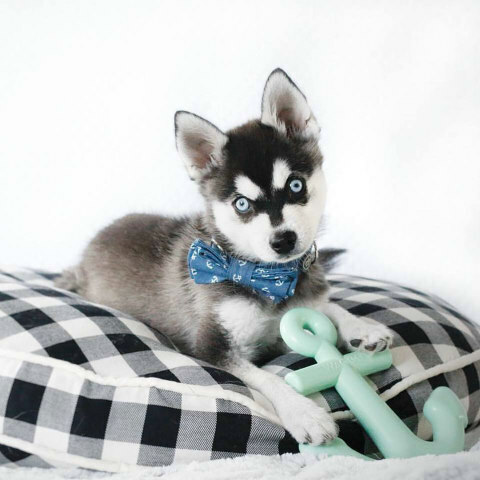 According to their Website, “Max-Bone is a sophisticated brand for the dog lover, born by the desire for a simple and chic lifestyle for the entire family.” Fowles-Pazdro’s designs are inspired by the fashion and interior design industries and her goal is to create modern pieces with a focus on quality and fabrics that are timeless. Sounds like something straight out of a St. John or Ann Taylor bio, but we must remind ourselves this is for dogs. If it’s already sounding a bit too ritzy or chichi for you, have no fear, because box chains like PetSmart and others are carrying the line, and to their credit some of the designs are pretty cute. 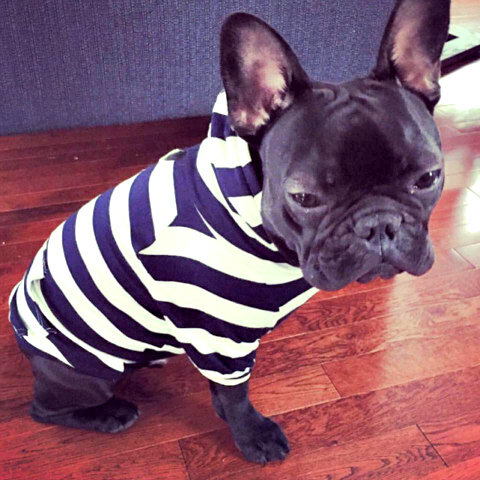 This trend in designer doggy duds has turned into a multi-million dollar industry. Recently I covered a designer out of New York whose over-the-top pet designs and creations looked like something you’d have seen back in the day on Dynasty with Alexis Carrington flouncing around in formal wear in the middle of the afternoon dripping with diamonds. Max-Bone takes it down a notch — or two, three, perhaps even four — with ensembles that would be considered everyday wear. You know, the kind of stuff you’d slouch around in on weekends or a day off, only for dogs. Max-Bone doesn’t just reap the benefits of this trend and then pocket all the profits and put them toward spa days for pampered owners and pups. The business is involved in over 15 different charitable organizations with animals as their focus, and it’s presumably accomplished through proceeds derived from sales of their athleisure wear that is becoming so popular. And it has with ordinary folks and stars alike. Apparently, the line has had a red carpet review and stars like Selma Blair have decked their dogs in Fowles-Pazdro’s designer duds. Once you see the brand’s top model, you’ll know why they’ve had so much exposure. His name is Gizmo, and he’s got a face so homely he’s cute — strike that, he’s adorable! Check out their Web page and see for yourself. While you’re there, you can see their line of clothes, bow ties and bandanas, collars and leashes, beds and blankets, toys and storage containers you can put them in. Their clothes are priced just the way you’d expect, a little on the high side, so this line is not going to be for everybody, but they’re no where near the price range of most of Anthony Rubio’s creations. Either way, it’s worth a look. Happy shopping!